Showering has become the modern solution to getting clean quickly and easily - jump into the shower, then jump out, having had a powerful jumpstart from the spray at the beginning of a busy working day. 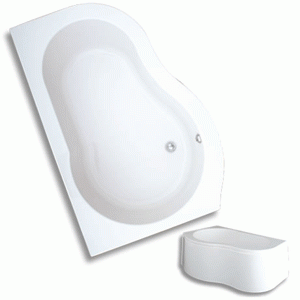 But who doesn’t feel like lying down for a long, leisurely soak at the end of it? A bath in the home is not only desirable because it offers both options (which a shower cubicle can’t); it’s also recognised as increasing a property’s value and saleability. Parents will always want a bath that their young children can use in their homes, and they’ll invariably also want a shower themselves, to save time, water and energy (on more than one level). Many British bathrooms have limited space, so accommodating both a shower and a bath can be tricky – but a showering bath (also called a shower bath) combines the two, making it an ingenious solution to this problem. Allowing available square inches to be maximised without compromise while offering the practicalities and pleasures of a bath and a shower, showering baths are now highly popular in the UK, making functional and attractive additions to bathrooms in existing and newbuild properties. Showering baths are broader than standard baths at one end, which makes standing in them for a shower as comfortable as lying down in them for a soak in the suds. A showering bath can be created by attaching a folding shower screen to any bath with a shower mixer tap - but if you want to create a brand new look for your bathroom, and add a new dimension to your bath’s shape (and to your hygiene routine), these showering baths MBD’s extensive range offer the very best in contemporary design and functionality. 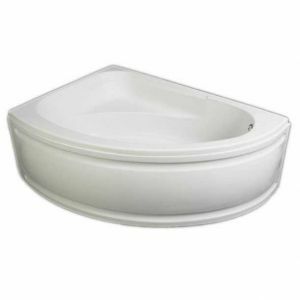 The gracefully curving profile of Trojan’s white acrylic, chrome-trim Laguna corner showering bath brings understated good looks and effortless style to any bathroom, while also saving space, as it measures only 1200mm x 1200mm. A shower screen is available for separate purchase. Timeless design, immaculate craftsmanship and a striking profile make the white acrylic, chrome-trim Orlando offset corner showering bath from Trojan a striking feature of both traditional and contemporary bathrooms. 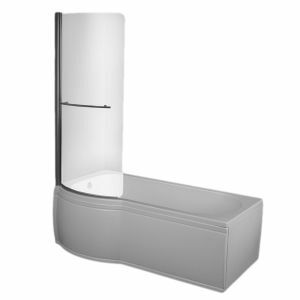 Left- and right-hand models are available in 1500mm x 1040mm size. ‘P’ is for ‘pampering’ - which is perfectly possible in the P-shaped Concept showering bath from acclaimed bathware specialists Trojan. Expertly constructed from white acrylic, with a polished chrome trim, the gentle curve of the spacious showering area softens the look of any bathroom. from acclaimed bathware specialists Trojan. Expertly constructed from white acrylic, with a polished chrome trim, the gentle curve of the spacious showering area softens the look of any bathroom. 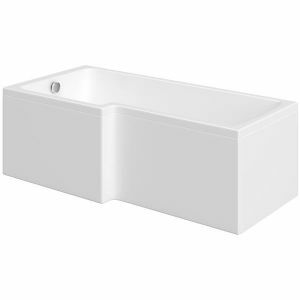 Left- and right-hand models are available, in two sizes (1500mm and 1650mm x 800mm x 700mm)..
‘L’ stands for ‘luxury’: the clean-lined, white acrylic, chrome-trim Solarna L-shape showering bath from bathware experts Trojan offers a full-length bath to stretch out in, with standing space provided by the roomy square shower area. Left- and right-hand models are available, in two sizes (1500mm and 1700mm x 850mm x 700mm). 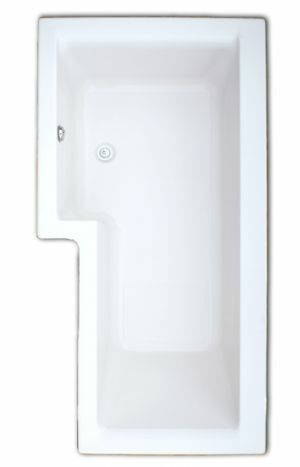 Sleek and stylish, the space-saving Elite showering bath makes a smart addition to any bathroom, in every sense. Constructed from smooth white acrylic, with gleaming chrome fittings, its perfectly proportioned full-length bath and spacious shower enclosure are just what you need for your personal hygiene zone. Left- and right-hand models are available, in 1675 x 850mm x 700mm size. 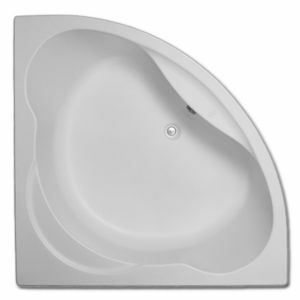 The simple design and flowing curves of Trojan’s Quebec offset corner showering bath instantly catch the eye, making it an attractive space-saving feature that offers both the comfort of a bath and the practicality of a shower. Left- and right-hand models are available, in 1500mm x 1000mm size. - Are Colourfast tested, so they don’t fade during their lives. - Come with a 25 year guarantee. - Can be treated with Trojancast for extra strength and protection.